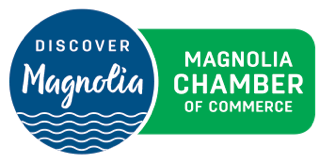 Magnolia's largest community event depends on contributions from the Magnolia community. Cash and materials donations fund general festival expenses and our Fun for Everyone mission to have plenty of free activities and performances for all to enjoy. Donate below, or contact the planning committee to donate materials. Contribute to over 400 on-site hours as individuals or groups of family, businesses, and not for profit organizations. Contact us to be notified when the sign up calendar is ready. Your business/organization is publicly recognized on the website, signage, etc. Contact the planning committee to discuss sponsorship opportunities.